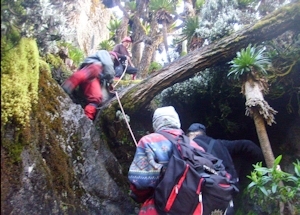 It is approximately 5 – 6hours to ascend the 6km path to Bujuku Hut is found at 3,962m. So from John Matte Hut, you will cross Bujuku River and slope to Bigo Bog with amazing views of peaks. 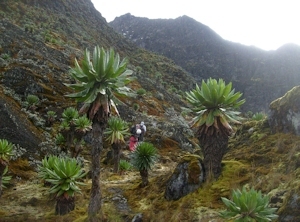 Proceed with the hike passing near Lake Bujuku where the stunning Alpine savannah vegetation starts from. 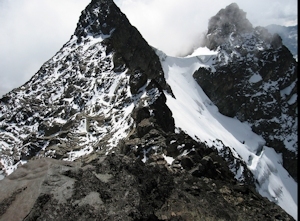 Later arrive at Bujuku Hut; at this point you will be in position to see Mount Speke, Mount Stanley and Mount Baker peaks. Have your dinner and overnight at the hut.